IIf you had asked me when I was a kid growing up on a Michigan farm, what I wanted to be when I grew up, I would have said, “A writer!” It never would have occurred to me to say, “I want to help save America’s barns.” After all, barns were still the heart of every farm and the soul of the nation in the 1960s. 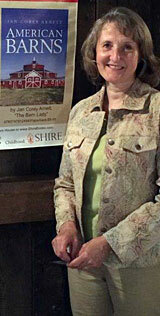 But that has changed and “real” timber-frame barns are a threatened treasure. I respect that today’s mega-farms put together “marshmallow” domes and long metal, open-sided sheds to meet their needs quickly and inexpensively. But what I don’t respect is when the barn that made that farm thrive is destroyed rather than given careful consideration for a new purpose it might serve, or, at minimum, made available to someone else. Love a barn? Save a barn! As I speak to groups I find that many people do not realize the treasure that a heritage, timber-frame barn really is and why such a barn is worth saving. If you have, or can influence someone to keep a “real” barn in good repair, please make that commitment. When these barns are gone they are gone forever. Regret cannot bring them back. "You have a wonderful vocabulary and a gentle but learned and inviting voice. You made everyone feel comfortable and invited them to participate in the talk." "I could listen to you talk about barns for hours and never lose interest. I have learned so much!" "I just love your humor!" 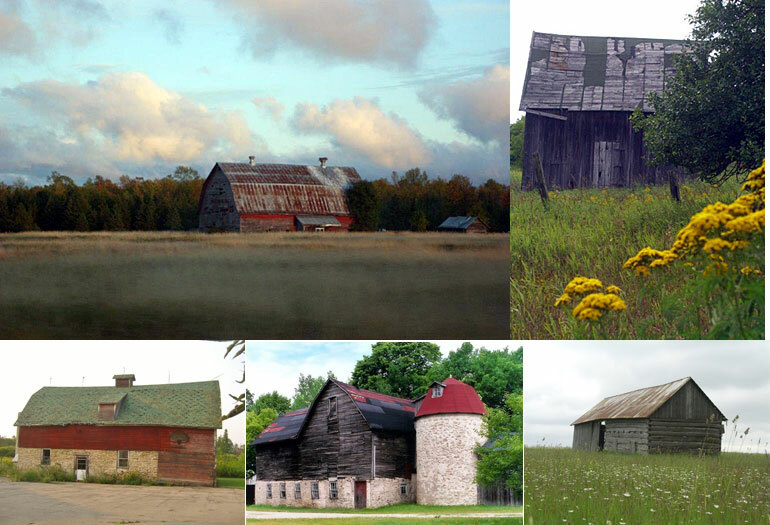 Barns are clearly a symbol of the American dream.... a critical reminder of the importance of our agricultural heritage….. American Barns provides an excellent snapshot of the history of the barn throughout the United States. The photos are outstanding…. a must read. …beautifully written… jam-packed with color photographs…. The author succinctly summarizes the various kinds, styles and uses of the barn, providing the best overall introduction to the subject I've seen. For those wanting to dig deeper, she provides a state-by-state list of “Places to Visit”, a glossary, and a bibliography. This is an exquisite book to savor and enjoy, time and time again. I thoroughly enjoyed reading your book and it made me even more aware of the barns I was passing on my trip to the States. "An enchanting overview...that will grab any reader’s heart with its mixture of history, farming traditions, and frank discussions of preservation issues.... perfect gift...full of heart...."
Copyright © Coralan Communication. All Rights Reserved.